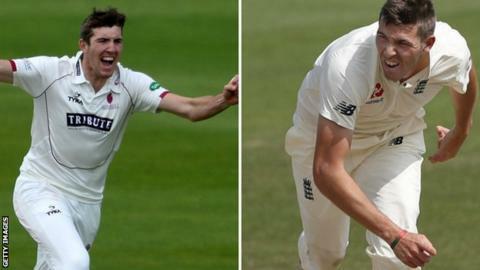 Somerset pair Craig and Jamie Overton have both had their contracts with the Division One county extended to the end of the 2020 season. The 23-year-old twin brothers' deals had been due to expire in 2018. Craig has taken 168 wickets in 55 first-class matches while averaging 24.43 with the bat, hitting seven 50s. Jamie - who, like his brother, is a right-hand bowler and right-hand batsman - has played 95 matches across all three formats, taking 168 wickets. Somerset chief executive Lee Cooper told the club website: "Craig and Jamie are exceptionally talented players and to have secured their long-term futures is a real coup for the club."